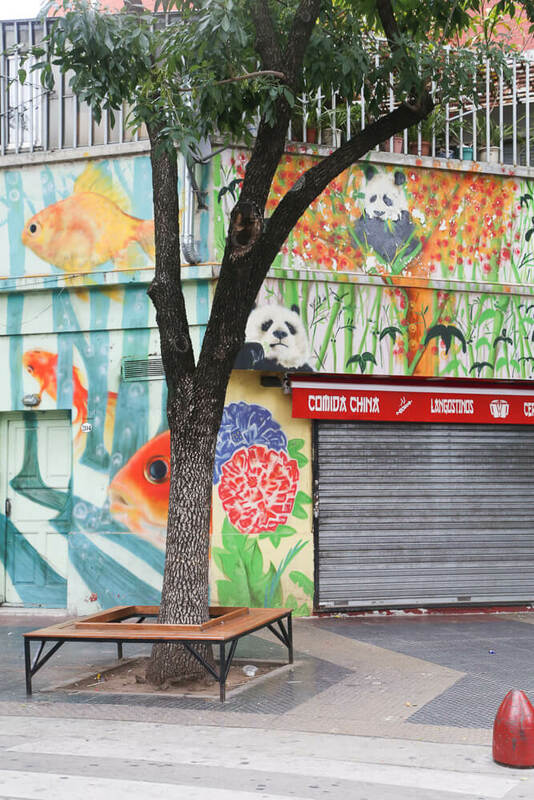 Barrio Chino, or the Chinatown Buenos Aires, may feel miniature in comparison to her sisters in New York, San Francisco or London, but it still has quite a bit to offer. The mini-neighborhood is located within Belgrano, a neighborhood on the north side of the city. The imposing arch below marks the entrance at the intersection of Juramento and Arribeños streets, across the street from the Belgrano C train station. It only occupies about four blocks of Arribeños and branches off this main artery in each direction for a block or two. 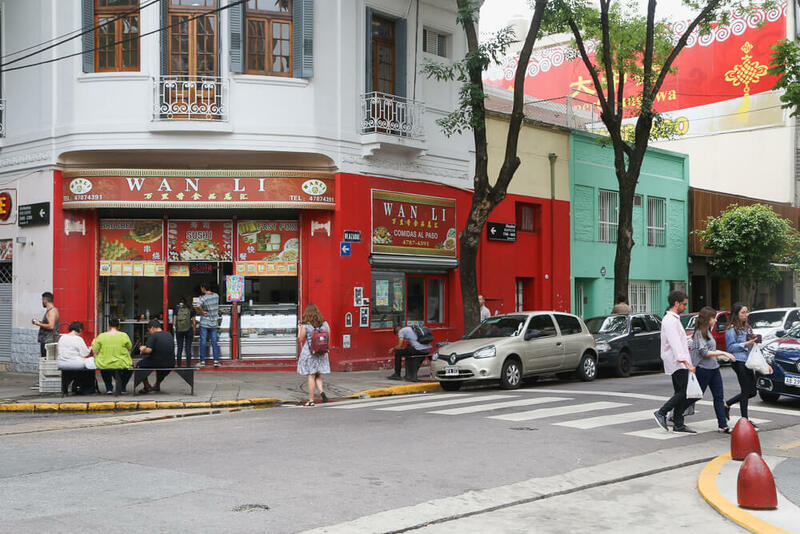 The Chinatown in Buenos Aires is relatively new, beginning in the 1980's with the arrival of immigrants to the area. Despite the name Barrio Chino, the majority of the residents are actually Taiwanese. The arch (seen above) was installed in 2009 after being shipped in pieces directly from China as a gift from the Chinese government. Many didn't initially support the new addition to the neighborhood. There are actually still ongoing formal complaints from two local government agencies regarding the arch and neighbors complained about "not being consulted." Some still complain despite the area's rising home values. There are also different opinions from the Asian population in the neighborhood. While some appreciate the arch as a sign of acceptance in their new home, many (especially the Taiwanese majority) aren't as comfortable with the presence of a gift from the People's Republic of China in their new Argentine home. Spices, fish, imported goods, grains in bulk, whatever you're looking for it's probably available in Barrio Chino. 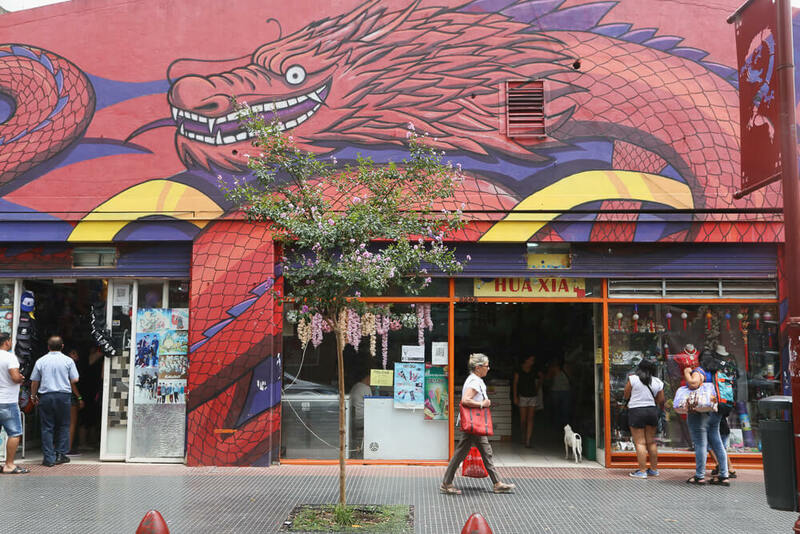 The shops in Chinatown in Buenos Aires are open from around 9 am to 9 pm. The supermarkets here offer a much wider variety of options than your average Argentine grocery store. My husband goes for the fresh fish that's cheaper and fresher than the chain stores. I go for cheaper grains, imports (almond butter!) and to try new things. There are also shops selling a little bit of everything under the sun, knick-knacks of all sorts. My favorite two shops are Casa China and Tina & Co. I do most of my shopping at Casa China at Arribeños 2173. Casa China was one of the first supermarkets in the neighborhood. You can purchase quinoa, legumes and the like in bulk (seen below) for a very reasonable price. Vegans and vegetarians will also be very much at home with tofu, vegan hamburger patties, vegan butter, vegan ice cream and more available. Tina & Co, at Mendoza 1678, has everything. 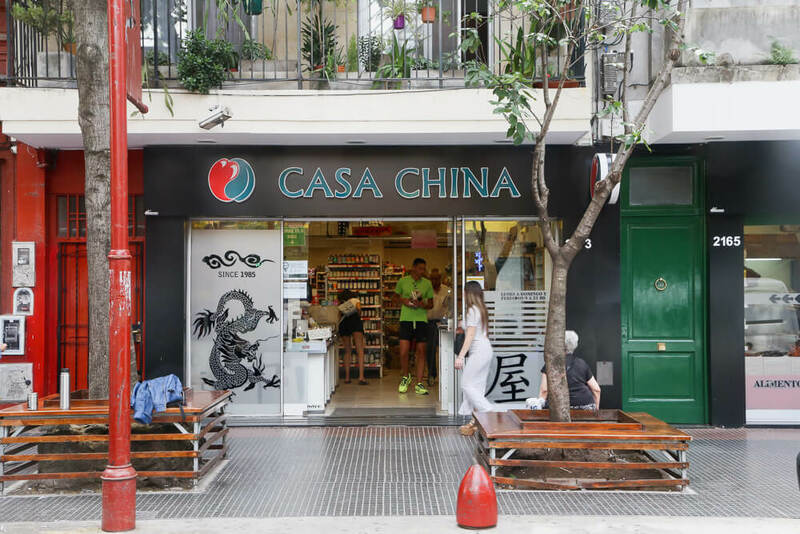 It has many of the same things that Casa China offers, but it's a little more expensive. Rather than selling quinoa or rice in bulk, they sell it pre-packaged so it's a little pricer for those items. 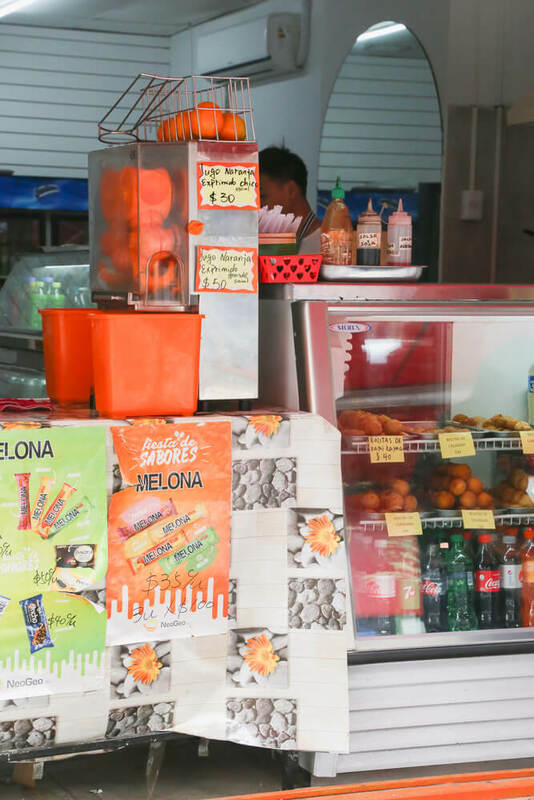 They have the widest variety of imported food options that I've seen anywhere in the city, so whatever you're looking for, start your search here. 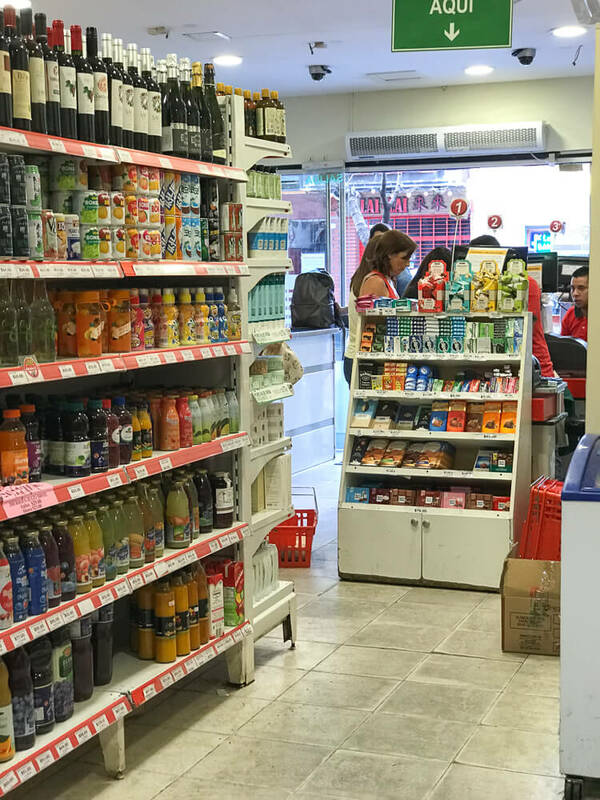 Whether you're looking for a very specific brand of tea or a soda you liked that time you were in Brazil, you'll probably find it here. They also have a cafe in the shop, as well as a lot of beauty products and home decor. Restaurants open from noon and stay open late into the night. Street food is very popular and most restaurants have counters facing the street for those eating on the go. There are benches to sit and enjoy as well. Enjoy some sushi or tempura during your visit! TRAIN | The train station, Belgrano C, just across the street from the arch belongs to the Tigre train line that departs from the Retiro train station. If you're coming from downtown (near San Telmo, Plaza de Mayo or Retiro), this the quickest option for you. SUBTE | Take Line D to the Juramento stop, you'll come above ground at the intersection of Juramento & Cabildo. From here it's about a six block walk down Juramento. And it's a beautiful walk, enjoy it! BUS | There's a lot of colectivos that can bring you to Barrio Chino. If you prefer to take the bus I recommend mapping your route out on the city government's online map (or download the app version, Como Llego, to your phone). Below is a map of the official borders, you can see that Chinatown in Buenos Aires is a TINY neighborhood. However, it does actually expand out further than these official lines (albeit not too much).